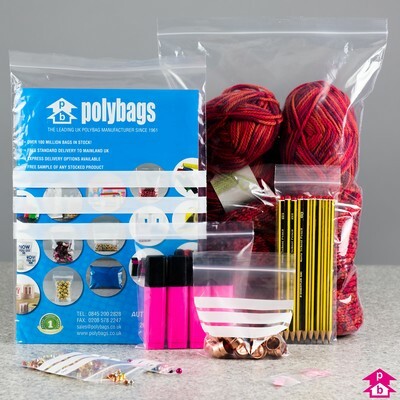 Polybags has been a plastic bags manufacturer since 1961. 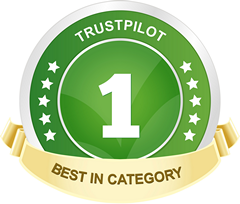 In that time we have developed a substantial range of innovative packaging products including being the first UK polythene bag manufacturer to research and design our own line of environmentally friendly biodegradable bags. 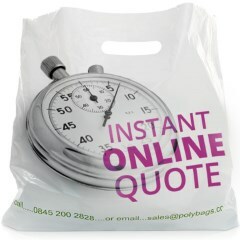 We also pride ourselves on an extensive range of off-the-shelf stock plastic bags, environmentally friendly bags and packaging items, you can buy these with free delivery to most parts of the UK from our online plastic bag and packaging catalogue. 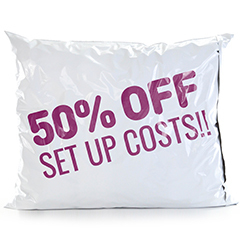 You can also order printed carrier bags printed with your company's logo or design or we can manufacture plastic bags specifically to suit your needs. If you would like to read a little more about the manufacturing process first, please see our polythene manufacturing pages for more information on the extrusion, bag-making and bag-printing process. New Scientist recently published an article called "Plastic: the stuff we love to hate". This article explored the way we regard plastic packaging and plastic bags and dispelled the widespread notion that plastic is the least green product. In fact, it concluded that plastic is actually one of the most efficient forms of packaging and materials normally regarded as environmentally friendly such as glass and paper actually contribute significantly more to global warming because they are more expensive to produce, require thousands of times more energy to produce and are heavier and more bulky to transport, meaning increased pollution and carbon emmissions coupled with heavier congestion. Plastic can also be recycled, a fact that is often overlooked and we are proud to offer a recycling option on nearly all of our manufactured polythene products. We are seeking permission to reproduce the article here, as it makes interesting and surprising reading.